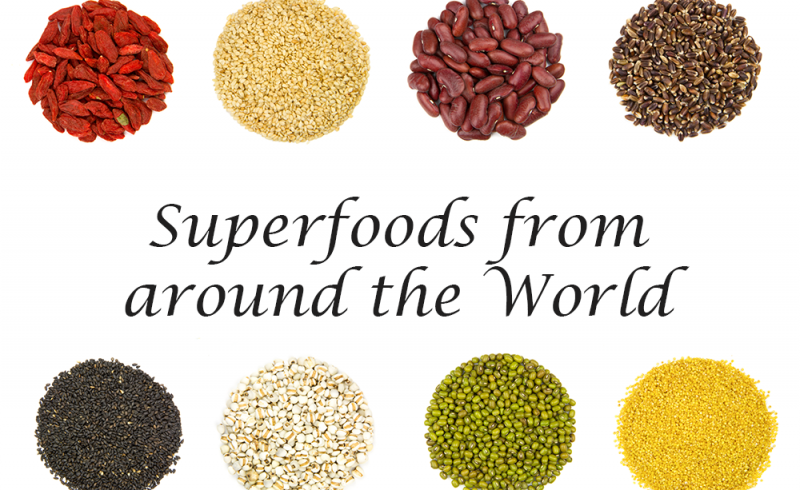 Going beyond what is currently popular in the health ( natural and organic) foods in the United States, there are super foods hailing from different parts of the world, some as far distant as the Middle Eastern cultures and from eastern Africa. Some are grown and consumed as staples closer to us, in Peru. Let’s take a look at what people are growing, eating and benefiting from in these regions around the globe. Freekeh, like hummus, sheep and camel kefir has its origin in the region of the Arabian Peninsula. It is also popular in Egypt and some countries of northern Africa. It is a cereal dish made of green (young/unripe) wheat. The wheat seeds are roasted and sun-dried when they are still green, soft and have moisture content. They are then chaffed, rubbed and cracked to form what looks like bulgar. In fact, in Arabic, freekeh translates to a process that means ‘to rub’! 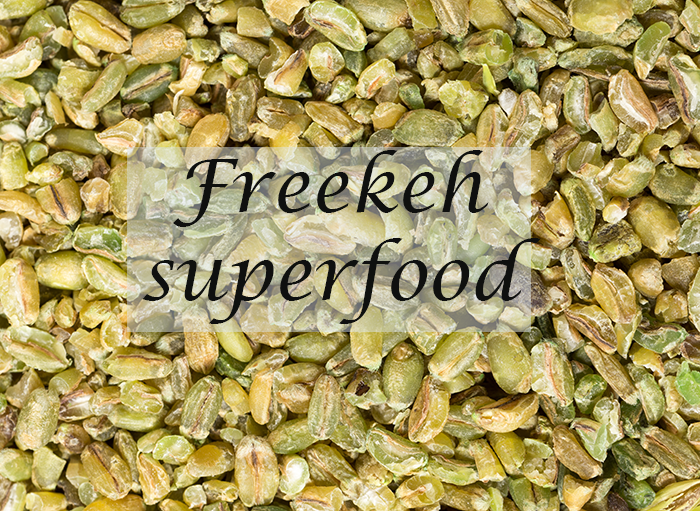 What is so special about freekeh (pronounced fereekeh) ? Well, to start with it is comparable in nutrition to any other wholegrain cereal but offers so many additional health gifts. 50 grams (slightly more than ¼ cup) of freekeh will deliver as many as 10 grams of protein and 5 grams of insoluble fiber! It has a very low glycemic index and serves those suffering from diabetes very well. Though it delivers 163 calories for the measure, it is low on fat (only 1.25 grams). It is obvious that most of its calories come from complex carbohydrates which accommodate 32.5 grams for the measure. Freekeh is also rich in dietary calcium and iron. (1) Apart from this freekeh is packed with potassium, magnesium and selenium too. Quite often freekeh is compared to and seen as the new quinoa. Freekeh has a smoky flavor due to the roasting and sports a chewy texture with hints of nuttiness. You can use cooked freekeh in many dishes by just adding it to the finishing stages of a recipe spiking the health coefficient of the dish drastically! You can find freekeh cereal in any local grocer that stores ethnic, Middle Eastern food supplies. Some brands that sell freekeh are Village Harvest, Goodness Superfoods, Freekeh Foods, Nature’s Earthly Choice and Freekehlicious. In a saucepan, pour the freekeh and add water. Add vanilla essence, cinnamon powder and butter and stir well. Serve warm. You can also garnish your freekeh cereal with almond slivers, nuts or diced fresh fruits. *If you wish your morning freekeh breakfast to be richer in flavour and have better body, you may replace water with milk of your choice. Teff may be new to the world here but it has been commonly cultivated in the current area of Ethiopia for thousands of years. Also known as Williams’s lovegrass, teff is actually a grass. The teff grains that we use are seeds that grow from the grass when the grass matures. Teff seeds/grains are small in size and fairly easy to cook. In it’s natural state teff looks like brown, tiny, oblong grains but is a beige powder as teff flour. Teff has a very attractive nutritional profile and like freekeh has often been compared to quinoa. 50 grams of wholegrain teff delivers a punch of 185 calories but most of it comes from the very desirable complex carbohydrates. 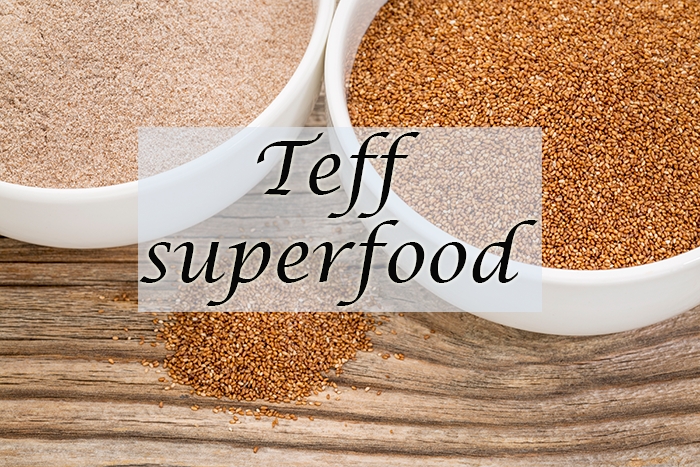 Teff has negligible amounts of fat in it and absolutely no cholesterol or sugars. This measure of teff will offer 7 grams of protein, 4 grams of dietary fiber, and a gram of fat. It will also take care of 10% of your daily calcium requirements and 12% of our iron need for the day! (3) Teff is also loaded with dietary phosphorus, magnesium, iron, zinc, copper, boron, manganese and vitamin B1. In a medium-sized bowl, mix teff grains with gluten-free flour, eggs, baking powder, maple syrup and live yogurt. Let the batter stand for 15-20 minutes. Put a heavy-bottomed, non-stick pan on medium heat and warm the coconut oil. Wait till the oil is moderately to very warm. Pour adequate amount of batter and even it out to form a pancake of even thickness. At this stage, you may add berries to the pancake. Serve warm! You may garnish your teff pancakes with fresh diced fruits, nuts, yogurt or cheese. Also known as Peruvian Ginseng, maca is really a biennial plant whose fleshy root is used as food and in alternative medical therapies. Maca has many sub-cultivars but the one recognized by USDA is Lepidium meyenii, which you must find mentioned on the label of your maca powder pack. The roots of maca which are dried and then powdered to be used as food or medicine can be golden, red, black, green, purple or blue in colour, each with it’s unique properties. However, food brands use the cream-colored root variant for sales. A teaspoon (or 5 grams) of maca powder will 20 calories of energy from 4 grams of carbohydrates, a gram of sugar, fiber and protein each! A teaspoon of maca powder will also address 2% of your vitamin C and protein needs as well as 3% of your iron intake for the day. Maca powder is free from fats, cholesterol and sodium. 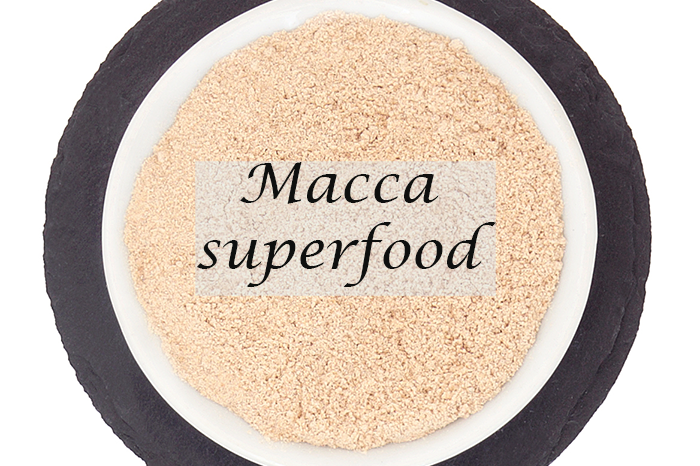 Maca comes packed with calcium and potassium. It also contains iron, copper, zinc, manganese, iodine in trace amounts and is complete with 19 essential amino acids. Add ice and relish chilled! 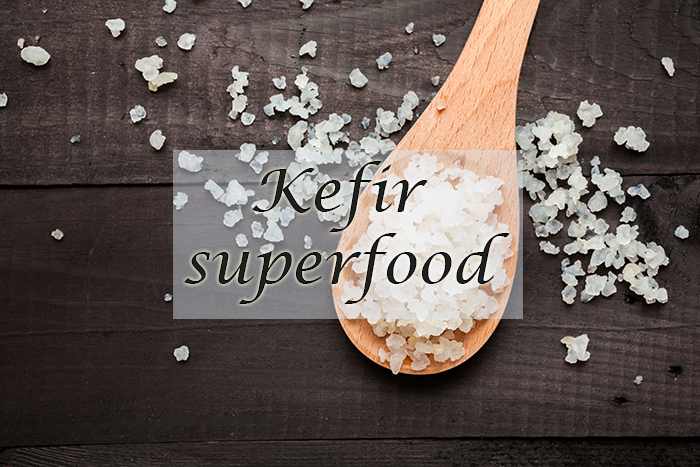 If you like the sounds of Freekeh, Teff and Macca then you will absolutely love the superfood KEFIR! Kefir is a 100% natural, probiotic, nutrient-rich and fermented drink. It has some resemblance to low fat yogurt or even thinned buttermilk. It may be made from out of dairy milk but kefir is neither buttermilk or nor is it yogurt. Kefir tastes very different from the two products as it carries a mildly tangy flavour and has an effervescent texture . In other words, kefir is a completely different product. In fact kefir can also be made from plant-based sources like soy milk, rice milk, coconut water or even almond milk! Kefir is a rich in calcium and phosphorus, and high lean protein content. Kefir is a great source of tryptophan. The bioactive compounds (healthy bacteria) found in kefir help develop and maintain a healthy gut flora and good digestion. Those who are lactose intolerant or are vegan can also benefit from consuming kefir made out of plant sources such as soy, rice, coconut, almond etc. 2 tablespoons organic flaxseed or organic sunflower oil or Grape seed oils. Mix the Kefir Milk and the flaxseed oil in a bowl with a fork, until you obtain a rich, white and creamy smoothie. Grind the nuts, or flaxseed and the cereals. Crush the banana with a fork. Add all the ingredients to the KEFIR MILK cheese and mix well. 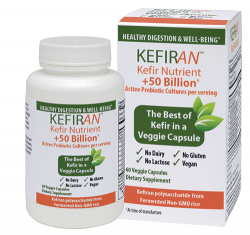 Add 2 Kefiran Capsules to boost your probiotic intake.